On the day(Tuesday 13th July 2010) that British Airways´ affiliate company FlyBe signs an agreement to codeshare its flights with Air France it seems to us that BA has lost its way with its obsession with the US market and its desire to form ever closer links to American Airlines. Let us look at this tragic comedy of errors which has turned Britain´s main flag carrier from the most important European carrier into the third bit player trying to survive with no coherent strategy. 1-With the inheritance of the occupiers´ German routes into Berlin, Deutsche BA was formed to try and build on that experience. 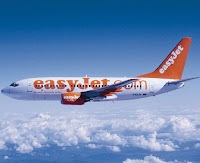 The results were not to its liking so short termism prevailed and the subsidiary was taken over firstly by "easyjet"(a wierd arrangement) and then by AirBerlin. Thus BA withdraws from the German market(Europe´s biggest) just as all Europe´s markets are about to be opened to free competition. 2-BA built up a subsidiary in France called Air Liberté. The results were not to its liking so short termism prevailed and the subsidiary was sold. Thus BA withdraws from the French market just as all Europe´s markets are about to be opened to free competition. 3- KLM twice offered itself for merger with BA which fell through. Then it suddenly decided to merge with Air France which apparently has proved more successful than anticipated. Previous anti-monopoly worries suddenly went out of the window thus opening the whole European market for consolidation. 4- Swiss was handed on a plate to BA and was set to join oneworld but then (through frustration??) changed its chairman and fell into the lap of Lufthansa. This airline was the perfect fit for BA and its partners in oneworld at a crossroad in Central Europe providing two potential hubs (one in a French speaking market while the other is in a German speaking market). The results for Lufthansa have proved tremendously beneficial with regard to revenue and traffic. 5- BA´s licensee BMED was snatched from under its nose by BMI. This reduced BA´s attraction through Heathrow to the benefit of the Star Alliance through BMI. 6- BMI wa s subsequently bought by Lufthansa and now serves LH´s interests. 7- BA´s licensee GBAir was similarly bought by "easyjet". This reduced the number of slots available at Gatwick and destinations on offer in the southern Mediterranean. Also the company lost a possible vehicle to run BA´s regional services. 9- BA Connect was set up in a half hearted attempt to consolidate(what remained of) BA´s regional operations from Birmingham, Manchester and Glasgow. It cannot be understood how Lufthansa has been able to build up regional services in Europe while BA turns its back on the British regions. 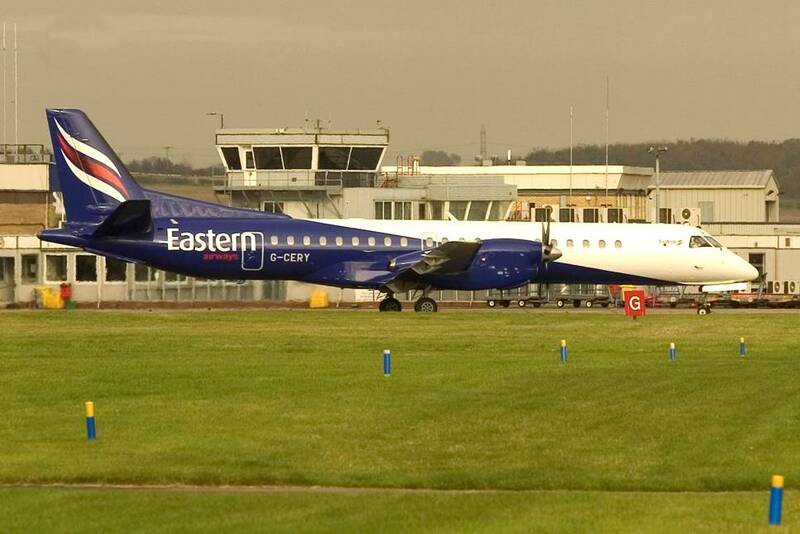 The connections from the UK to the European continent are now effectively offered to European full service competitors especially when these passengers want to fly long distance but not through Heathrow(as has been shown by FlyBe´s announcement of extensive codesharing with Air France). BA´s Manchester -New York service inexplicably closed down emphasising this lack of support for the regions while Continental, American Airlines fly transatlantic from Manchester as well as other airlines. 11- Brussels Airlines (in the backgarden and a natural ally of BA with tremendous untapped potential) sold a majority stake in itself to Lufthansa. 12- Aer Lingus was offered for sale by the Irish government which thankfully did not let Ryanair take a majority stake. BA handed over the UK/Irish routes to Aer Lingus some years ago which was not problematic when AL was in oneworld. AL subsequently left oneworld while under the direction of WILLIE WALSH (now the CEO of BA)!!! Now BA must take over AL to secure its own back yard. If any non-British airline has any chance of competing with BA at Heathrow or anywhere else in the UK it is Aer Lingus. Most Brits will fly Irish with no second thoughts(look at Ryanair´s success in the UK) while we would look hard at a foreign airline. (What success has Air France had with its Los Angeles flight from Heathrow?). Can you imagine the aggressive Ryanair fully taking over Aer Lingus and running low cost long distance flights from Heathrow? It is one airline that must be won. 13- "BA´s" CEO walked away from the bidding for Austrian saying it was a better strategic fit for Lufthansa. We cannot understand how he just wanted to hand it to Lufthansa. What better strategic fit is there for BA in Central Europe after the loss of Swiss? Has Malev been proven a better substitute? 14- Alitalia was on the rocks and nobody wanted a lame duck. However, then the proposal was to merge it with Air One (also participated in by Lufthansa). Alitalia is given the "kiss of life" and now survives in the SkyTeam alliance. Only Lufthansa takes advantage of the weak Alitalia restructuring situation by setting up its Lufthansa Italia subsidiary. BA nothing. 15- BA´s CEO states in each case that BA is only looking for a commercial alliance - this has got BA nowhere as has subsequently been proved. 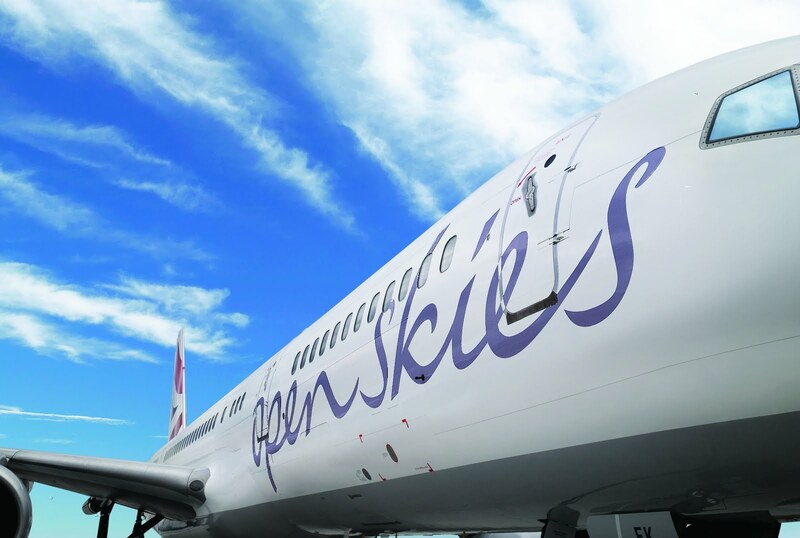 16- BA sets up a subsidiary "Open Skies" very timidly in 2008 as an all business airline just when other similar concerns are going out of business(EOS, Maxjet and Silverjet). "Open Skies" takes over L´Avion to obtain access to Paris Orly and an up and running business with flights to NY-Newark. After initial attempts to fly Orly to Newark and JFK and from Amsterdam to New York(susequently suspended indefinitely), now it flies Paris Orly to Newark while it has just introduced a Paris Orly - Washington Dulles flight. The chic image and name of L´Avion is lost and submerged in the insipid image and ridiculously cheap name of "Open Skies"
However, where are the connecting services to BA, its subsidiaries and its partners in "oneworld"? They do not exist. OS is not in "oneworld" and cannot offer the services of a full service airline in an alliance. To us this seems to be cutting your own throat. American Airlines flies from NY-JFK not Newark, nor does it fly from Dulles. In Paris, of the "oneworld" European partners only Iberia and Vueling fly into Orly; Finnair, Royal Jordanian, Malev, BA and FlyBe fly into CDG. 17- BA´s CEO expressed a desire to take over BMI "to consolidate BA´s position at Heathrow". We all knew that this was a nonstarter because Lufthansa (with its 20% stake) would not permit it, and the competition authorities would be against any control by BA of more slots at Heathrow. 19- BA announced the start up of a twice daily business service(similar to "Open Skies´") to New York from London City(from October 2009). Then to eveyone´s surprise BA announced the service would land at Shannon to refuel and invent an excuse that US passport formalities will be done there. The real reason is only that the aircraft cannot take off from London City with a sufficient load of fuel for JFK. What is gained by the immigration process at Shannon is lost by the length of the stopover. 20-Now BA announces that its London City services are so successful that it is thinking of introducing more business services to Chicago, Washington and Boston. It cannot fly further with the A318 (from Shannon). All these are illustrations of what concerns us about BA. It seems to have no logical strategy. A merger with Iberia(not takeover - under less favourable conditions than before) only seems logical as the Spanish can maintain the identity of the airline and direct its operations into Central and South America. But what else? Are you not looking at the possibility of another airline in Central Europe (CSA or LOT)? What plans are there for Eastern Europe , the Balkans, Greece, Turkey. Is RJA a sufficiently connected airline? What about the Gulf airlines to join oneworld? Should it not be better to have Etihad, Emirates or Gulf onboard than being competitors? It is just as well that S7(Russia) and Kingfisher (India) have been sought as suitable partners for oneworld. Thanks be that JAL (Japan) decided to stay in oneworld and not defect to Skyteam. But where is BA going in Africa? - at the moment nowhere. That is one reason why Brussels Airlines(with its partner in the Congo) was important. The only strategy the airline appears to have at the moment is to turn British Airways into London North American Airways for high flyers in Business class. This is not good enough,especially when it flies from an airport which will not be expanded (at least at the moment) and where it cannot get more slots but has to give up some present slots. This is plain madness. We expect better.